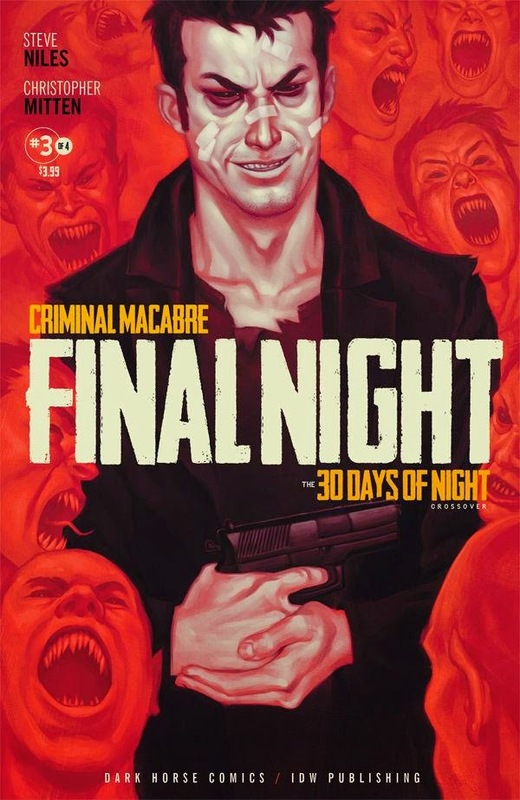 Steve Niles' comic series Criminal Macabre and 30 Days of Night already had links to the Crossover Universe independent of each other even before this miniseries definitively confirmed they take place in the same universe. 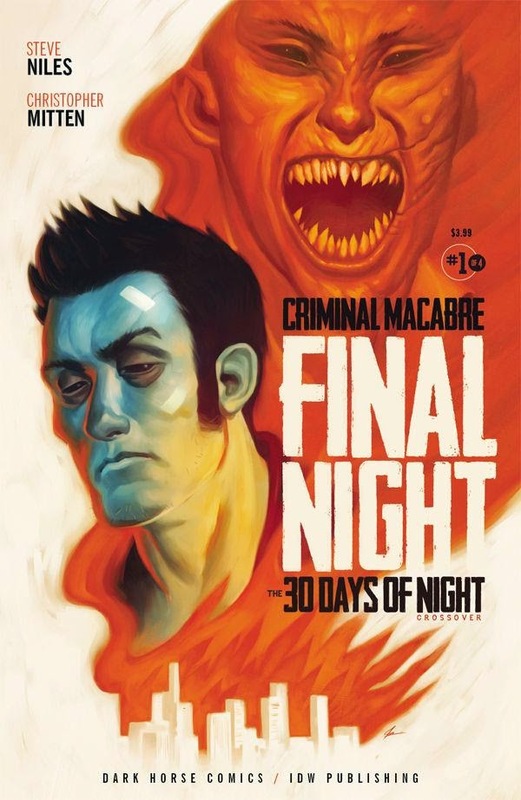 It's also worth noting that one issues shows a photo of Cal McDonald, the protagonist of Criminal Macabre, with Eric Powell's character the Goon, a reference to the crossover Criminal Macabre/The Goon: When Freaks Collide. The Goon exists in a very surreal universe so it would have to be an AU. Though from what I know about When Freaks Collide (I haven't read it myself) it does not necessary imply the two characters exist in the same universe. It would also mean the Adult Swim series Metalpoclypse is an AU, since it had an interdimensional crossover. That's the interpretation I took for my write-up of When Freaks Collide. 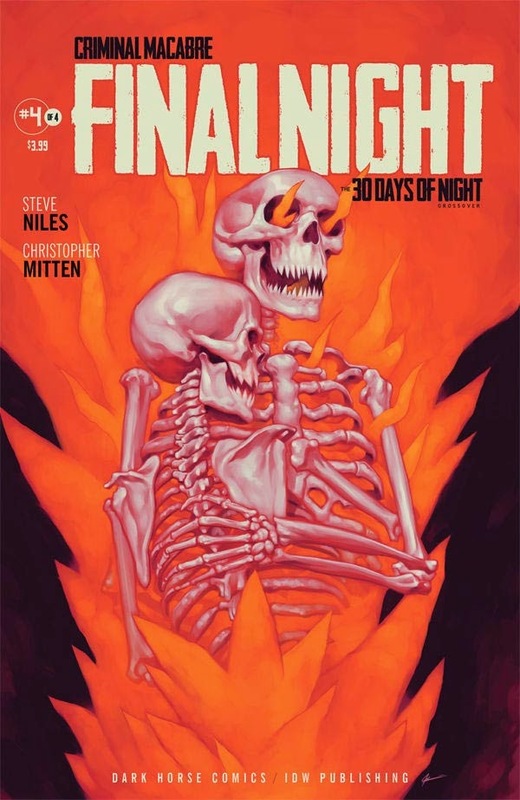 On the last page, Hellboy appears. Cal recognizes him and refers to him by name, so they most likely come from the same universe. Cal and Hellboy must have been pulled into the Goon's universe from the CU, and later returned to their native universe after Cal had his picture taken with the Goon. BTW, I personally tend to take Hellboy crossovers on a case-by-case basis: some fit easily into CU continuity, some don't. For instance, he appeared in an issue of John Byrne's comic NEXT MEN. Since the Next Men are a superhero team, they definitely don't fit. Likewise the Savage Dragon, who has a very distinctive appearance and quite publicly battles supervillains in my own hometown of Chicago. That's what I figured you do, but I figure I should mention it. If just to have some discussion. I did not know Hellboy appeared in the Crossover. I really should read it. Yes, I believe Hellboy has to be treated like a superhero with his own CU version and the comics proper version. 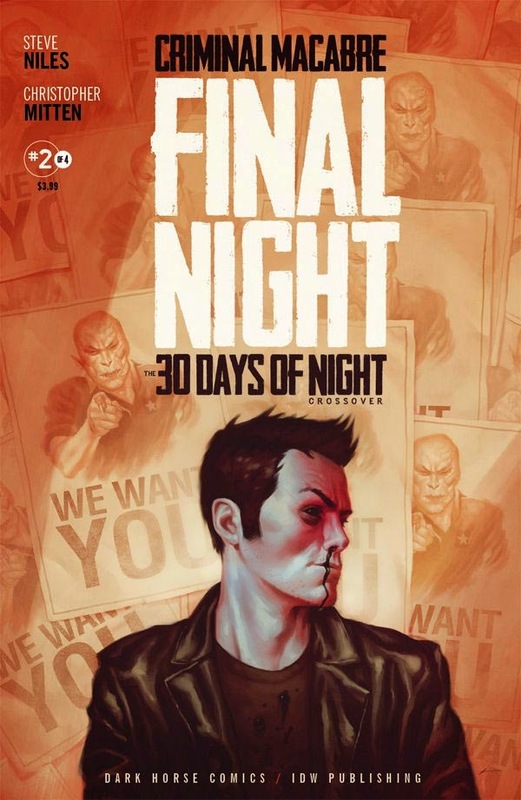 The comics having become a post-Apocalyptic survival story. There is also I suppose a Next Men universe version and a Savage Dragon version making them AUs. It's worth mentioning since we are talking about Hellboy. That in the first Lobster Johnson comic miniseries (being a spinoff of Hellboy) involves a Vril-powered armor suit. The suit (and the character who wears it) would get two miniseries of it's own Sledgehammer '44. I haven't read them so I don't know if they could fit in. But I think the Lobster Johnson series could. There was also an earlier Hellboy/Goon crossover where Hellboy gets knocked on the head and wakes up in the Goon's world and then gets knocked on the head again and returns to his own. He also fights an octopus in an airplane.